Intended to revitalize urban alleyways, Stitch Development alley-front homes employ enriching, “context appropriate” architecture and interior design. Stitch Development is a Sacramento-based development company founded by developers Jeremy Drucker and Ron Mellon. 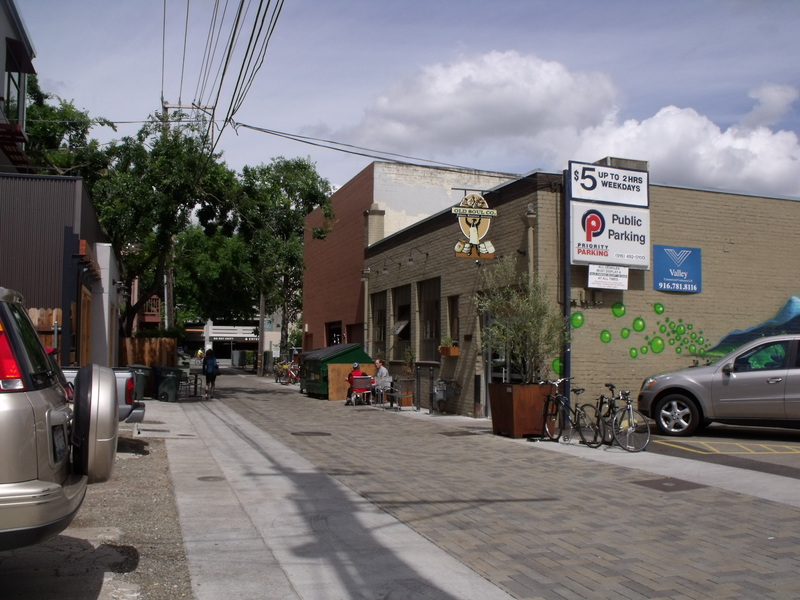 It was created to “stitch” communities back together at their weakest points–in this case midtown Sacramento alleyways–by building cost, energy and space efficient housing developments. 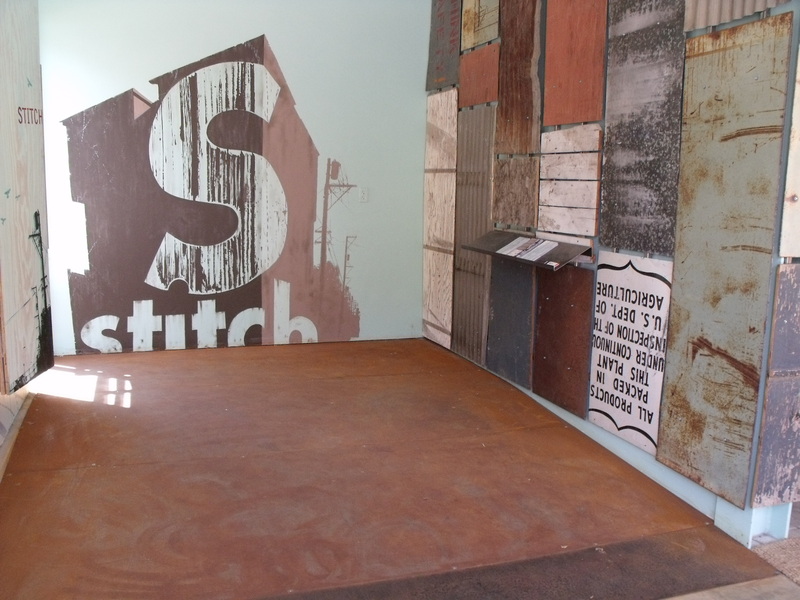 In the process, Stitch has played no small part in helping a kind of alleyway revolution take place, and has become part of a larger architectural and design movement in the realm of urban revitalization. The interiors of individual Stitch alley-front homes are built-to-order to a prospective owner’s tastes, with a variety of materials, finishes and colors to choose from. All of these options complement the building’s exterior which, in order to blend in and enhance its respective alleyway, is designed in a “context appropriate” style. 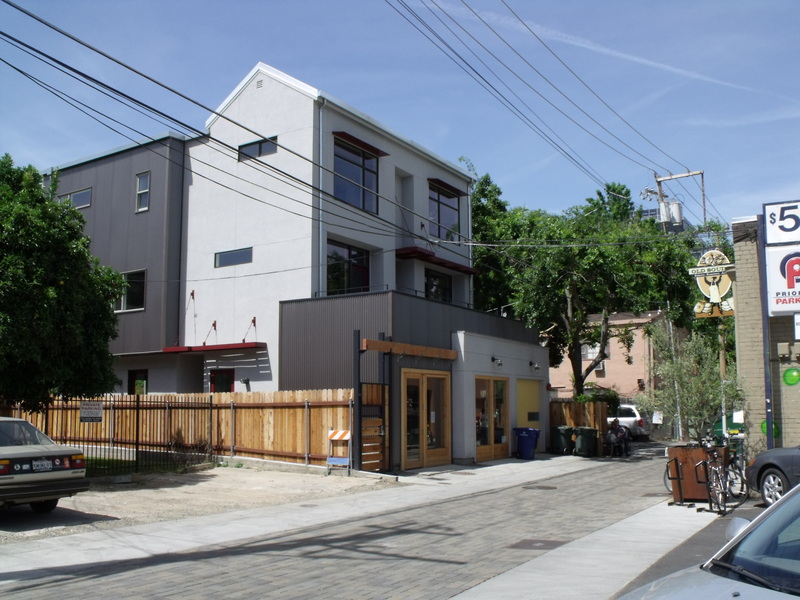 For example, as part of a hip alleyway community (also shared by a public parking lot, the Old Soul coffeehouse and Edible Pedal bike shop across the way), the finished Stitch sales model has been built in a “hybrid” style, a flexible mix of modern and classic architecture that works with both residential and commercial mixed-use neighborhoods. The alleyway on which it has been built was itself improved structurally and lined with pavers. To get a better idea of the actual use of space such a development employs–and the interior design used to maximize its potential–I took a little tour of the interior of this building. It features three residential units with an enclosed single-car garage allocated for each (as seen along the front, and pictured above). Context appropriateness is just as important for the interior space as well as the exterior. To that end, Catherine Reon of CRKW Studio (a former classmate of Drucker’s at California College of the Arts) was tapped to bring her signature classic modern taste to the project. This mode of design has an urban feel. It’s clean, yet comfortable, and personalized with found objects that are vintage and/or unique. Based on the foundation of architect Ron Vrilakas’s plans, Reon chose the hard surfaces and cabinetry, planned spaces and chose all of the furniture and accessories used for staging. For the latter, Reon started off with large foundation pieces that could accommodate any variety of accessories. In the interest of full disclosure, I should probably admit that products from Lumens are quite heavily featured. (Not that that had any influence over my opinion of the design, of course. I am nothing if not a professional, objective all the way.) 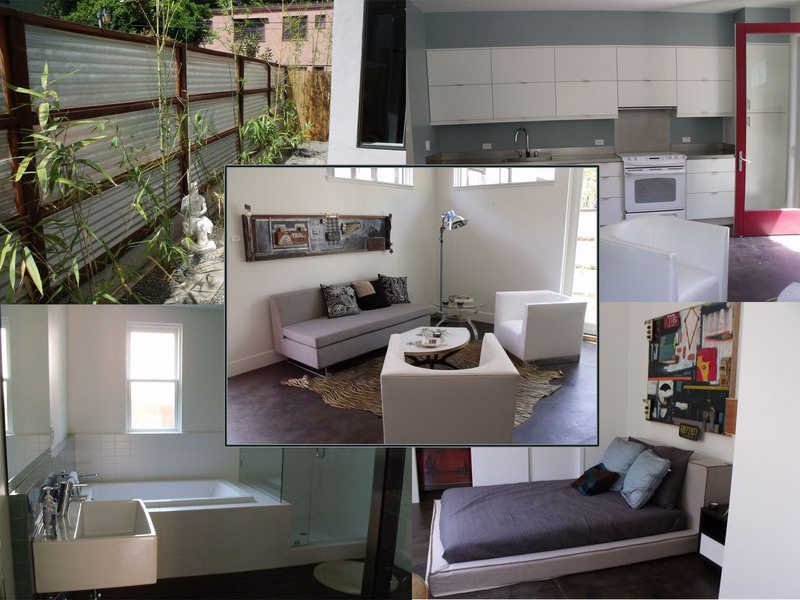 Liking their clean lines and versatile tones, Reon used Blu Dot sofas, beds and chairs from Lumens for all the units. Original artwork and various one-of-a-kind finds at Fringe provided the bulk of the accessorizing features throughout. While I don’t think I could ever choose a favorite, I can envision myself living comfortably in any of the spaces. Each has design elements and furnishings that I adore…and that inspire me to achieve similar greatness in my own urban dwelling. Behind the garages is the first unit, a cozy one-bedroom space that Reon terms “the bachelor pad.” The floor is stained slab-on-grade concrete, and the choice of furnishings and fixtures build on that rustic, industrial foundation. 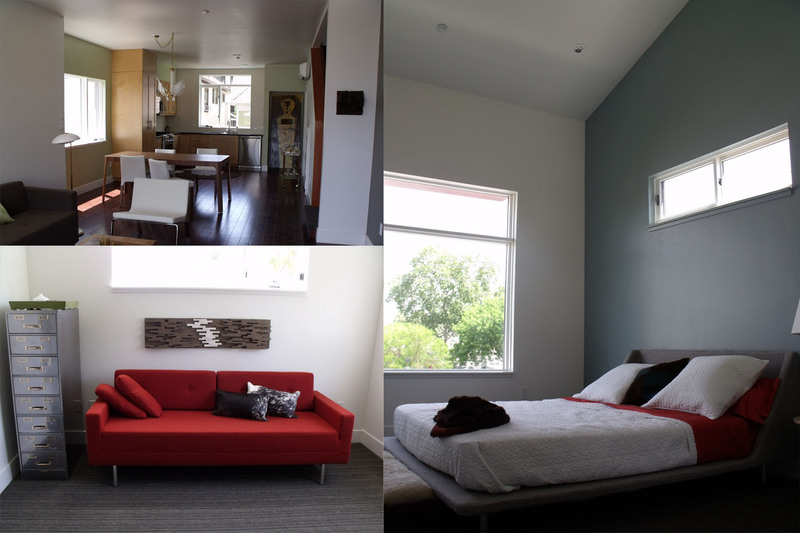 As pictured here (clockwise from center), the Clyde Sofa and other furnishings in the living room have clean lines and a neutral color palette, allowing for accessories and original artwork to pop; the kitchenette features floor to ceiling storage in an airy white finish; neutral colors and clean lines continue through the bedroom, anchored by the Dodu Bed; the bathroom; and a Zen-like back patio. Upstairs are two two-bedroom lofts. Mirror images of each other in terms of general layout, each displays the various options and amenities possible in all Stitch units. You enter both via a shared balcony that overlooks the alley. The more transitional unit has dark bamboo flooring on the first floor with carpeting on its second level. As pictured here (clockwise from top), the living, dining and kitchen areas of the first floor flow gracefully one into the other, helped greatly by a carefully chosen color palette (the white, gold and wood tones in the living room Stella Lounge Chair and mid-century floor lamp, the vintage Murano chandelier and Knicker Chairs of the dining area and the golden shaker-style cabinets in the kitchen). 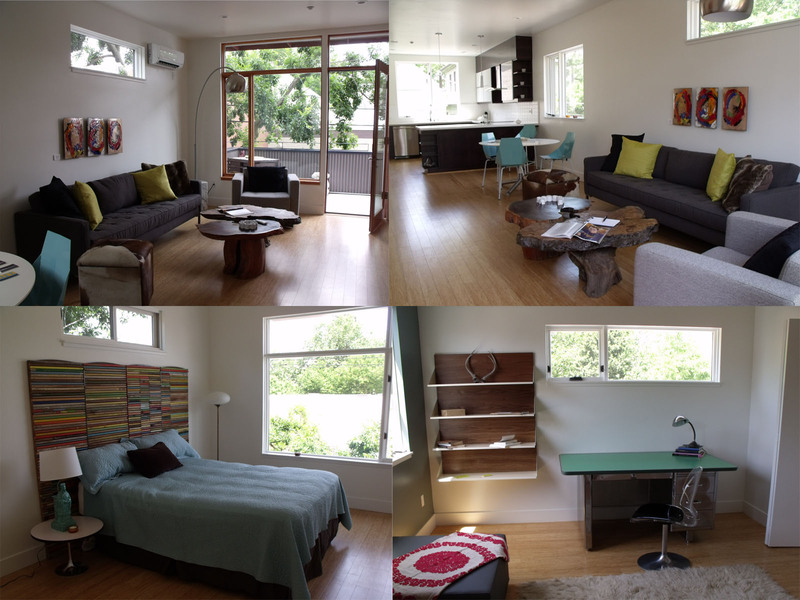 The other, more contemporary two-bedroom unit has natural bamboo flooring on both levels. As pictured, two views of the main living, dining and kitchen areas once again show cohesiveness through the clean lines of Blu Dot furnishings (including the chalk-colored Animal Lounge Chair, Paramount Sofa, and aqua blue Real Good Chairs) and unexpected accessories. At the top of the stairs, an open loft area acts as an office. The master bedroom also has high ceilings, but one’s eye is immediately drawn to the colorful headboard, a repurposed room divider made out of discarded broomsticks.